Jeffrey is a Senior Psychology major and works as a Peer Internship Ambassador in the Career Center. Planning for a career can be a challenging experience and one may wonder where to start or which resources to utilize. In the quest to find the ultimate tool for job hunting, two resources rise to the top — LinkedIn and Handshake. While they both try to achieve the same goal of helping students and professionals find their next job or internship, they do so in very different ways. Here are some different features that each platform provides that makes them unique. “It’s not what you know, but who you know.” – LinkedIn takes this saying and embodies it to the fullest. LinkedIn is a social-centered resource dedicated to helping you make new connections that assist in your job search. Because of this, it has certain built-in features to help you contact future connections. For example, one feature of Linkedin allows users to view profiles of other individuals to learn about their career journey and gain industry insight. Alumni Connections – LinkedIn is a great platform for connecting alumni from the same university. Linkedin provides school profiles with the ability to network with alumni who are working in an industry you may want to dive into. It provides the ability to categorize alumni according to their job industries, locations and companies to better match your needs and interests. Social Profile – As much as others’ profiles are visible to you, your profile is visible to others as well. This gives recruiters and other professionals an opportunity to see your experience and contact you for potential job opportunities. It is important to pay attention to who views your profile and vice versa. Whenever you view someone’s profile, a notification will pop up on their end. If they view you back, this could potentially lead to a new connection. Check out Muse’s tips on how to utilize LinkedIn to its fullest potential. Additionally, feel free to check out my LinkedIn Profile for reference. Job Search – Handshake offers job postings from employers who are already connected with Biola. The search engine on Handshake is very user-friendly and offers filters that help job seekers find different postings by aspects such as industry, job function and location. Student-Tailored – Employers who post internships or jobs on Handshake are specifically focused on university students, which gives you a huge advantage. In addition to that, every job posting on Handshake comes from a connection made by the university, which means recruiters who post on Handshake want to hire specifically from Biola. Career Center Resources – Handshake is the platform which connects you to the Career Center and vice versa. Through Handshake, the Career Center provides resources such as appointment scheduling, written resources and online workshops. Check out more resources from Career Center on Handshake. The two different platforms offer different features and advantages. 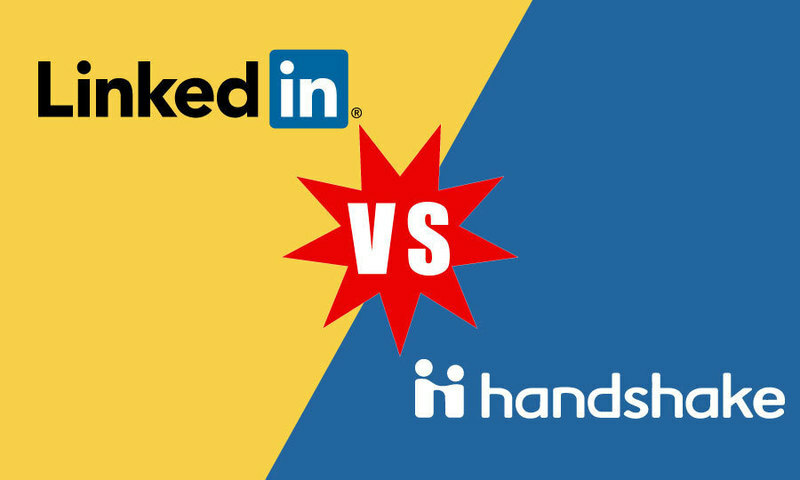 Both Handshake and LinkedIn provide different solutions to different needs in your job search. The best for you depends on the resources you need for the job quest ahead. It may even be beneficial for you to use both to get the best of both worlds. If you need additional help with creating profiles for either platform, schedule an appointment with the Career Center and we’ll help you out. Good luck to you all – we’re all in this together!